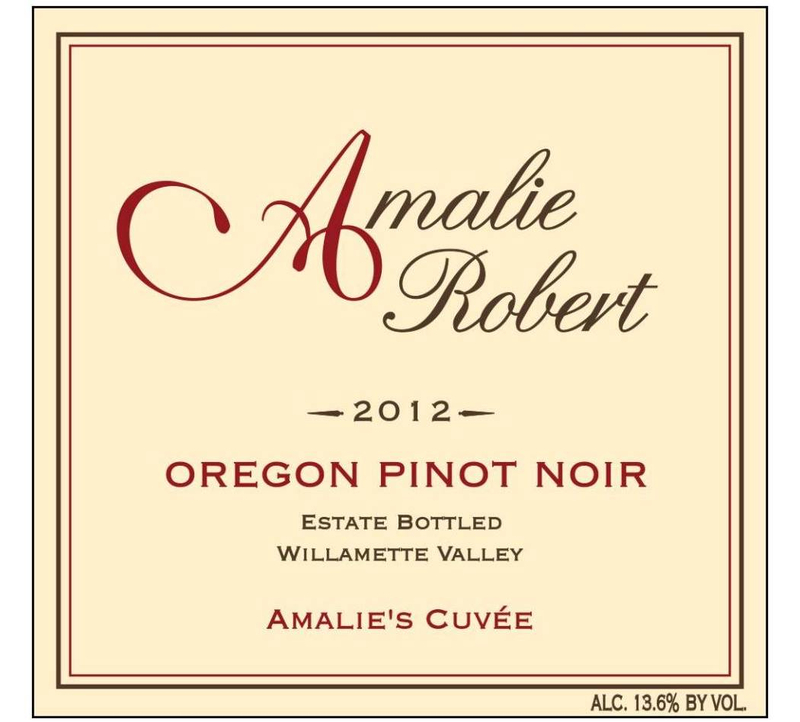 The Reserve is an exclusive 2 barrel selection of Pinot Noir representing our most intriguing wine in the cellar. Every block of Pinot Noir within our 30 acre vineyard is individually hand harvested at its peak of flavor maturity and intensity. Block by block, the fruit is fermented in small 1.5 ton lots and matured for over 12 months in French oak barrels. Every vineyard block and clone/rootstock combination showcases something unique and special from the vineyard. After fermentation is complete, the wine is placed into a selection of barrels to mature. We source French oak barrels from several coopers. The wine takes a different path to maturity in each barrel, developing its own nuances. We taste all of our barrels of wine many times throughout the year. 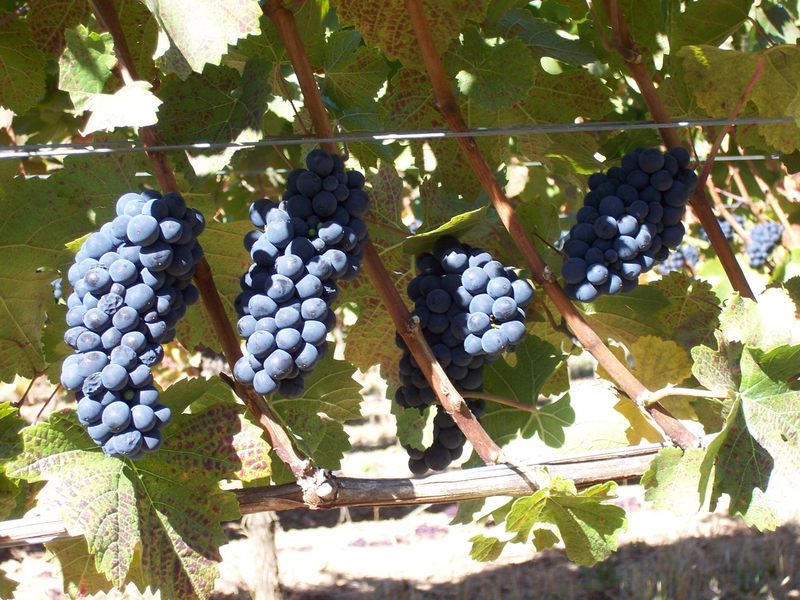 We experience the evolution of flavors and aromas and remember the significant events in our vineyard. 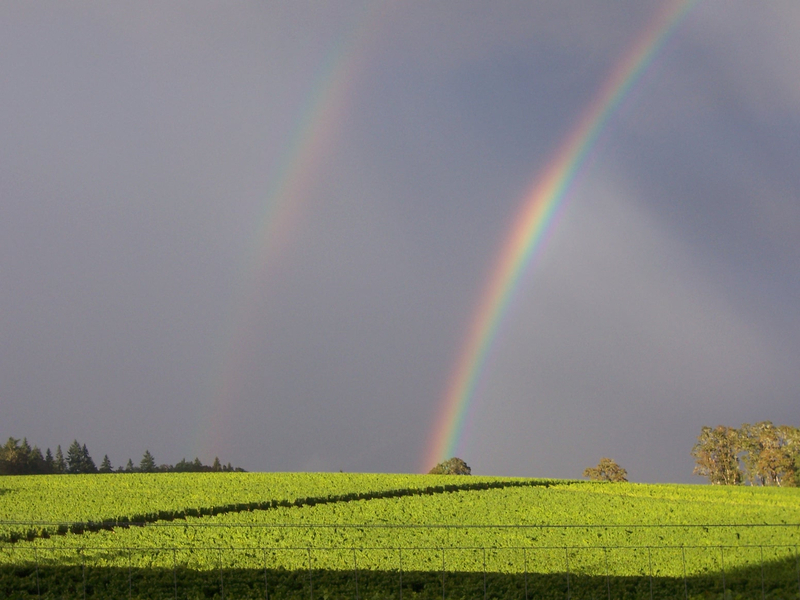 The excitement of an early bloom, the mystery of a very light fruit set, the discovery of color change at veraison, and the rapture of harvest. Tasting each barrel of wine provides us a snapshot in time. We experience the wine’s development. As we taste through the cellar, we make mental notes on each barrel. By the time we begin blending trials, we each have a pretty intimate idea of our favorite barrels. Dena will usually lay claim to a few barrels, and Ernie knows to leave those for last. Ernie includes these barrel samples as well as his favorites in the blending trials. This wine is a 50 case blend from our two favorite barrels. Tasting Notes: Steam roller red. 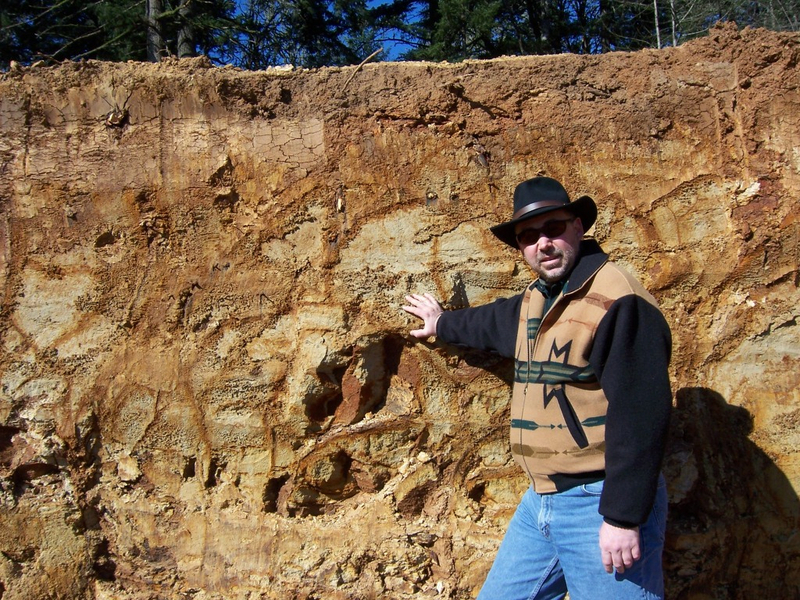 The aromas are signature sedimentary soil offering sandalwood, Asian spices and black cherry-rosemary preserves. The palate is precise and disciplined yet with a ribbon of intrigue leading you through the finish which is lingering and sultry. This is a wine seeking a dance partner. Unfined and unfiltered. Suggested food pairings: Coriander rubbed rack of pork, or if you are looking to make a “statement” select a Buffalo Filet Mignon prepared medium rare. Your cheese plate may vary, however we suggest saving a corner for some Shropshire blue. 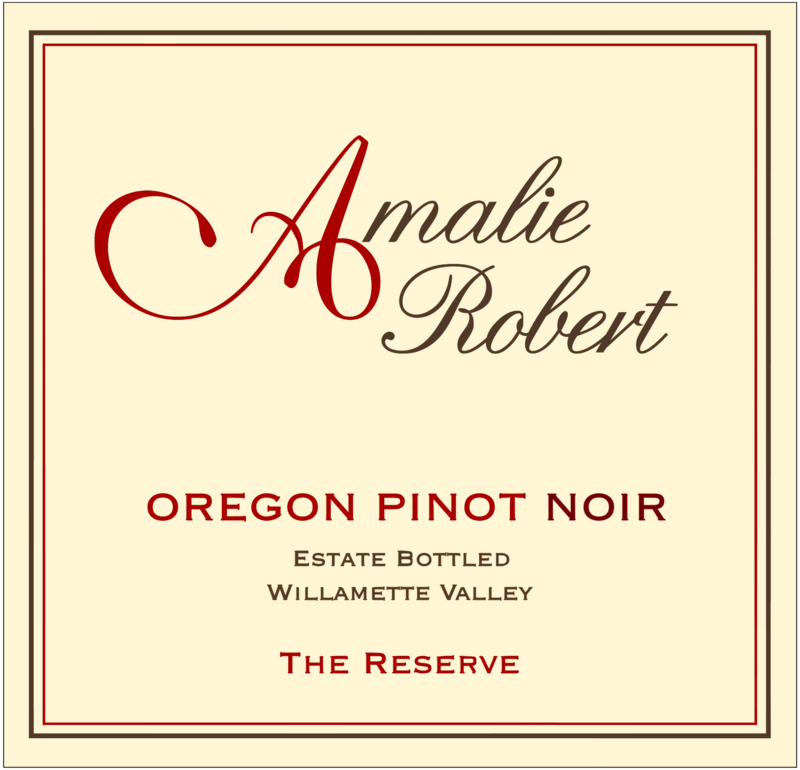 Amalie Robert's 2008 Pinot Noir Reserve is scented and flavored with ripe, juicy fresh cherry and red raspberry allied to rose petal, rose hip, Ceylon black tea, baking spices, vanilla, Virginia tobacco, and an especially alluring and luscious suggestion of blood orange. In short, it exhibits a complexity not to mention an interactivity - allied to lift, fruit purity and energy - that few wines of its vintage are (today at least) showing. Add to this a mouthwatering emerging evocation of veal stock as you approach an uplifting, penetrating and dynamic finish. This is a winner by any measure, and apt to perform terrifically through at least 2018. 93 points. Bright ruby-red. Seductive aromas of raspberry, Asian spices, potpourri and blood orange, with a note of white pepper adding lift and vivacity. Dry, nervy and very precise, offering tangy red fruit and floral pastille flavors and showing no excess fat. Seamless and pure on the finish, which lingers with outstanding tenacity and echoing spice and floral notes. 93 points. Rowan, heliotrope, hibiscus, and in fact an entire floral sachet emanate from the glass of Amalie Robert 2007 Pinot Noir Reserve, resembling – but also heightening – aromatic behavior I’ve experienced this year in a number of wines harvested in this “vintage from hell.” Relatively low tannin – like high perfume – is a theme here, but there is an invigorating ping born of fresh red berry acidity allied to subtle crunch of berry seeds on an otherwise polished palate. Reflecting the warmth that led up to 2007’s miseries, hints of caramel are allied to entirely ripe expressions of red fruits, and 13.6% alcohol reveals itself as expansiveness without weight or heat. A smoky aura of burley tobacco mingles with the profuse inner-mouth perfume of this buoyant, vibrant Pinot that finishes with fine, long, mouthwateringly salt-tinged length: not gripping but both stimulating and soothing. I can only hazard a guess as to how long it will remain in such a flattering state, but nothing I taste now suggests it will be less than another couple of years. 94 points. Limpid red. Bright strawberry, raspberry and Asian spices on the nose, with a seductive note of potpourri that gains strength with air. Sappy, spicy, attractively sweet red fruit flavors are energized by tangy blood orange and white pepper nuances, with a note of medicinal cherry adding grip. Plays deep cherry off tangy strawberry on the finish, which is precise, lively and very long. This will age on its energy and balance. 93 points. Saturated red. Inviting aromas of raspberry, cherry-cola, dried rose and Asian spices, with a suave undercurrent of smoky minerals. Powerful red and dark berry flavors are framed by silky tannins and complicated by candied flowers and anise. Expands with air, picking up deeper cherry and black cardamom qualities that extend through the sweet, lively and finely focused finish. While this is concentrated to age, there's a lot going on right now. 93 points.